Accent Base: "Communication is all"
All you need to do is make a short video or sound file and post it on the website. You don't even have to appear in the video. 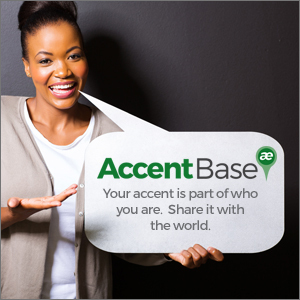 All we need is a sample of your accent to archive for our users to listen to, and the area you come from. We have provided a script and a list of words (below) that contain all of the 44 sounds in English. You don't have to have a very strong accent, there are no age restrictions and the video/sound files can be posted completely anonymously. The video/sound file should be no more than 1 min 30 seconds long. Accentbase is in its first phase of development and we need your help. Everybody has an accent, and that's what we have begun collecting in order to create, initially, an educational tool for visitors to any country in the English speaking world. We intend to map the sounds of the entire human world in order to make communication easier. Please join in with the project, in the future you might give yourself a pat on the back when all voice recognition software actually understands what you're saying first time around. All you have to do is say the script below and record it as a sound or video file, you can add a personal message of any kind at the end, but files over the 2 minute maximum length will be edited down. Try not to speak too clearly on purpose, or in an unnatural way. We want it to be challenging for the listener, and they can listen to your file over and over. The sample words can be said more slowly, but we want those beautiful sounds of your accent loud and clear. If you are shooting a video, please shoot it in landscape (horizontal) format rather than portait (vertical) format. When you are happy with your video or sound file please upload it to this Dropbox account. 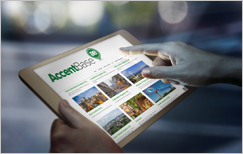 "Hello and welcome to the Accentbase Hub. I'm talking to you today to help you understand my local accent. I'm proud to come from ________ and the city (area) welcomes tourists and visitors of every kind from everywhere, near and far. I hope you enjoy your stay. If you're not sure you've understood this clearly, please listen to every word again. Thank you for listening." Consonants: Pot bed tap door chair jam come gum four very think the son zoo she vision man nose angry happy late red want yes"
At the end, you may deliver your own personal message if you want. The file must not exceed two minutes overall. At the end of the video you can give a short message about anything you like. You could advertise your business to potential visitors; tourists, students, business people, or just send a welcoming message to anyone visiting the area. You will also be part of a growing network of ambassadors and you will be helping the economy in all of the regions. Visitors are often put off returning to an area if they have had a negative experience there, and a lack of clear communication could be a factor. 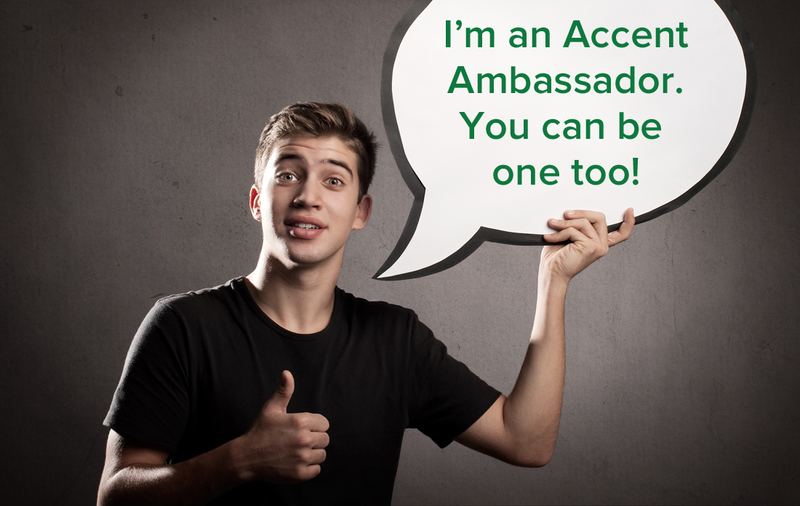 Becoming an Accent Ambassador also presents an opportunity to show pride in your native region's culture and promote it to potential visitors. It has been suggested that frontline workers in the tourist industry should be given elocution lessons so that they speak received English. We at Accentbase are ethically opposed to this exclusive and elitist view. In light of recent political events it would appear that many other people in the regions of the UK agree with this stance. Analysts believe that the vote to leave the EU was a rejection of all forms of political elitism, and a rejection of the Westminster ruling classes, most of whom are privately educated and don't speak with a strong regional accent. If you do you'll never belong to this exclusive club or be represented by it. So represent yourself in any way you can and start here right now. Accent is a fact of life. People should be proud of their region and what it has to offer, and our site provides an opportunity to celebrate difference and be inclusive. It also provides an opportunity as stated above to encourage international trade with your region, and help those who are involved understand everybody they come into contact with in any region. Once again, in light of recent events this is more important than ever. You will become part of a revolutionary approach to a persistent problem in language education. This barrier to communication has never been approached in this way before, and this is a unique opportunity to become part of a network that we hope will span the globe and help people visiting every country, speaking every language, a resource for teachers and students alike. Welcome to Accent Base! New to this site? © Accent Base - All rights reserved.